The Tuna Shark is one of the most common enemies you'll face in Immortal. 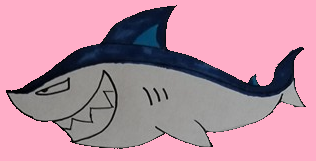 It's a shark that moves left or right and takes nearly a full charge to defeat with your shock attack. Nick Tricarico drew me a nice new sprite for the enemy.